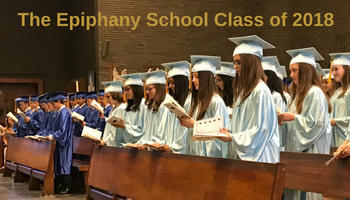 Congratulations to the Epiphany School Class of 2018!! Click HERE to see Kilian Scott’s (Class of 2018) video about The Epiphany School featuring The Class of 2018. We wish the newest members of the Epiphany Alumni Association all the very best.